Experience Warrior from the eyes of one of the most loved characters in Seventeen... The Order of the Three Spears. Founded at the turn of the ninth century by the Lotus-Born Second Buddha and inspired by the most powerful immortal warrior who ever lived, this secret buddhist society has kept the existence of immortals hidden from ordinary humans and maintained peace between the races for twelve hundred years. When news of an ancient enemy reaches them from the West, the Order sends its best and most unorthodox field agent to investigate. In the course of his mission, Brother Yonten crosses paths with an immortal operative also tasked with hunting the Order's deadly opponent. The astounding truths he uncovers will determine not just his own fate, but that of the immortal societies and the entire human race. 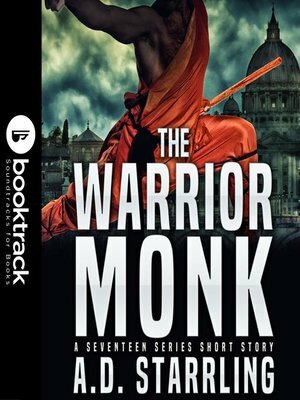 The Warrior Monk is a short story set in AD Starrling's bestselling supernatural thriller series Seventeen. If you like high-octane adventures that combine science and fantasy, then you'll love the world of Seventeen. Grab this fascinating short story and continue the epic series today!